New Adobe Photoshop Lightroom 4 Hits the Market - B&H Photo is excited to introduce the new Adobe Photoshop Lightroom 4 Software! The new Adobe Lightroom 4 combines all digital photography requirements in one fast, efficient application. Furthermore, this new software features simple automatic adjustments which allows the user to control everything from editing to sharing and much more. In addition, new and enhanced state of the art tools and elegant photo books, allows the user to easily share photographs and video clips across all social network websites and web galleries. The upgrades incorporated in this new software package, makes it a worthy investment even for existing Adobe Photoshop users. 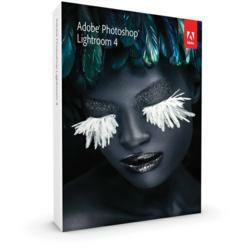 B&H Photo is now accepting pre-orders for the new Adobe Photoshop Lightroom 4. Among the new and upgraded features is the ability to create enhanced details in highlights and shadows and an allowance for targeted adjustments to white balance and noise reduction. The photo book feature is of course an exciting addition, in that it provides the requisite tools to create beautiful photo collections using a variety of easy to use templates and a ‘quick print’ option. In short, the new Photoshop Lightroom differs from the previous Adobe Photoshop, because it provides all the tools one needs for digital photography in one intuitive solution. Shop Adobe Photoshop Lightroom for LE$$ / Price list Click here!